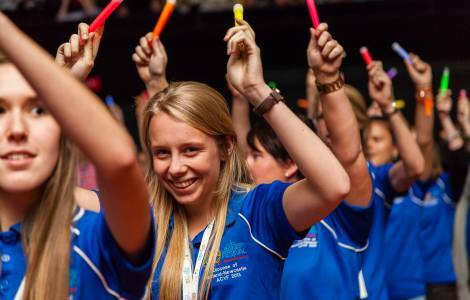 Sydney (Agenzia Fides) - "After the great success of the Australian Catholic Youth Festival in Sydney, at the end of last year, our challenge as a Church in Australia is to engage with young people and help them become missionary disciples of Christ": says in a note sent to Agenzia Fides Fr. Brian Lucas, National Director of "Catholic Mission" Australia, Australian Directorate of the Pontifical Mission Societies, commenting on the Message of Pope Francis for World Mission Day and noting the importance of young people for the evangelization. Pope Francis stressed the importance of young people in the life and mission of the Church in his message for the 92nd World Mission Day, scheduled for October 21, 2018. World Mission Day is held every year throughout the world to witness the missionary commitment of the Catholic communities and sensitize the whole people of God on the urgency of the proclamation of the Gospel. "Education is one of the main ways in which Myanmar, after decades of internal conflicts and political struggles, is moving towards a new era of democracy", says "Catholic Mission", re-launching a cooperation program. About ten years ago, Cardinal Charles Bo, Archbishop of Yangon, founded a Teacher Training Center called "Pyinya Sanyae Institute of Education" (PSIE) to help support education across the country through teacher training and the implementation of an alternative education, focused on the child. Catholic Mission has chosen to support the Church of Myanmar in this effort to give priority to education, launching a program of economic aid and spiritual support - It aims to have well-trained teachers, as well as supporting the construction and renovation of schools, so that children in the most remote areas of Myanmar have better access to quality education.